Stellaris is indeed a stellar game! The depth of this game is incredible and the AI is so ruthless that even on Normal levels regular players can have a lot of trouble: in my case, during my first playthough – the tutorial – I was absolutely crushed and most of it was caused by the fact that I had no idea what I was doing. In the end, managing an entire interplanetary civilization is not an easy task! However, I kept learning and finding new things and tweaking during my other playthroughs and I still believe that I am not an expert when it comes to this game. But I do have a solid understanding of at least some of its mechanics and I am here to share that with you in this article where I give you my best Stellar tips and tricks in a complete strategy guide that will help you win all your games. It won’t be easy and you should also make sure you check out my previous article where I detail the starting strategies you should always apply as they’re not completely covered by this guide. But do read on – and prepare for a long and hopefully helpful read in my guide. I give you Vgamerz’ best Stellaris tips and tricks below! I can’t really stress just how important the colonies are. Of course, having great options varies from game to game, but even if you don’t really have a lot in terms of offers, you should still set up colonies: 3-4 in early to mid-game should be your goal, because the sooner you establish the colonies, the sooner you can build them up and turn them into real powerhouses for your empire and, most importantly, have them add to the number of ships you can control. So set up your colonies, make sure that you care for their food needs at first and slowly build them for the future. When it comes to Colonies, take future upgrades into consideration and choose your building placements accordingly. You will know these by playing the game multiple times, but the best thing to start with is to choose a starting location for your colonist ship (or whatever it’s called in the game) near tiles with energy or minerals in order to get the adjacency bonuses later on in the game. You could go even a step further and specialize your colonies: have a mining one and an energy-producing one. I mentioned this in my starting tips article, but it has to be said here as well: survey as soon as the game starts and keep on doing it until you have the entire universe figured out. Remember that early on you can (and should) explore new solar systems with your Corvettes: do it in order to avoid losing your Science Ship in unexpected encounters. Do all the research that pops up, but take care with anomalies that have a high failure rate: it’s better to just leave them for later as you can lose them or even lose your scientist, which is extremely bad. Of course, all resources are extremely important, but Minerals are the most important early in the game – so make sure you focus on producing these first. Influence is also extremely important for the long run and the thing I usually failed at hoarding: declare rivals and use the Capital to get as much influence as possible. And, most important, don’t waste it for relocating Pops or other useless things. Influence is the most difficult to get! I would suggest specializing and focusing research on weapon advances in a couple of areas only, but your ship designs should be as varied as possible. I would recommend specializing your warships – and doing it heavily – but try to do that based on the enemies you’ve picked (or pick an enemy who is weak to your current starship setup). There are mainly three types of weapons: lasers, missiles and projectile weapons and each has its weakness. In my opinion, the best to focus on early are the Missiles because the Point Defenses counter for them is unlocked later on in the game and gives you a slight advantage early on. However, you should have warship designs for each category of weapon (and ready to defend against any type of enemy weapon) for when war starts. This is why it’s extremely important to know your enemy and know what kind of technology they use in order to be able to counter it. If you don’t do this, you will lose all wars! Frontier Outposts are extremely expensive in terms of Influence costs, so make sure that you build them where they matter and where you need them the most: usually the best choice being somewhere near a good planet you can colonize. Don’t overuse them and don’t put them to waste: you’re only given a chance with their placement, so make it count. For example, I placed one of mine too far away from the planet I wanted to colonize and by the time I had enough Influence to build a new one, a different race had already conquered those lands, so I was left with a bit of space that offered very little in return – especially when combined with the huge costs of building the Frontier Outposts! I did and I lost: it was during my tutorial phase, where I though I’d be able to obliterate my Reptilian neighbors who were half my size. I jumped with my fleet to attack their home base and get things sorted out ASAP, and so I did: my fleet was highly unprepared for their type of fleet and after our first battle, I was down to just 4 ships left while they had an amazing 10-12 still alive. There’s little sense in saying that it was game over for me very soon after. So when you go to war, make sure you’re prepared: having an extremely solid fleet is extremely important. A strategy that’s worth trying is to divide it in two fleets in order to easily take out their resource producing improvements in different Solar Systems. We’ll talk more in depth about winning wars in a different article, but until then, you should still know that you have to be prepared: get ready to defend your planets and don’t hesitate to build Defense Stations or platforms, because they can really save the day. Upgrade all your ships before attacking and don’t rush to destroy their planets: take their resources first, destroy their Constructor ships and try to take out their fleet. Also, have enough Minerals ready to quickly replenish your lost warships, otherwise you will soon be overpowered. War is extremely complicated and you should only start one when you are ready for it. These annoying and highly overpowered empires are the things you don’t want to see anywhere near your borders. If you meet them, though, try to stay on their good side for as long as possible. If they’re far away and especially if there are other civilizations between you and them, you can ignore them usually (and I would even suggest declaring them your Rivals for the extra Influence gains) but otherwise stay on their “liked civilizations” list at all costs! The best form of travel for your spaceships, in my opinion, is by wormholes because that’s the fastest way to travel. The game does list it as advanced, which might scare you off a little bit, but trust me and try it, then master it. Just make sure that you build your wormhole stations in areas that you can defend with relative ease (areas where your enemy is most unlikely to pop) and you should be just fine. Being quick from one point to another and being able to get from point A to point B in just two jumps gives you a massive advantage, so my suggestion is to always go for Wormhole travel. 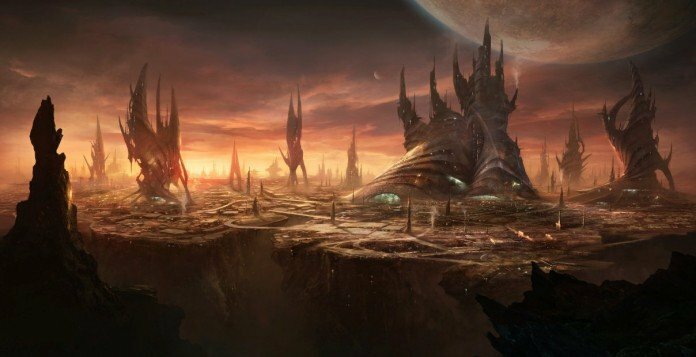 These would be, for now, my top tips and tricks for Stellaris. I will definitely add more in the future, so make sure to check back. Also, if you have tips and tricks for fellow players that you think will be useful, don’t hesitate to let us know by leaving a comment below. Next article10 Best Stellaris Mods That You Must Try Now!